Many tribes in Africa used dance to cure colds and ailments. The medicine men in the tribe would encourage dancing when someone was not acting as usual because it was believed to be an unknown ailment or spirit within them. These spirits or ailments could be sweat out or forced out by movement. In China, licorice root is widely used in home remedies, found in one-third to one-half of all herbal remedies. It possesses properties as a demulcent and expectorant, as well as being a mucous stimulator. In addition it is used as a “guide drug” in herbal prescriptions, meaning it is taken in combination with other herbal drugs in order to enhance the effectiveness of the other ingredients of a prescription, neutralize toxins or to improve the taste. Licorice is also used in China for treatments of hepatitis, sore throat and muscle spasms. Acupuncture is a traditional healing method that originated in China. An acupunturist places needles into the skin to balance out the flow of chi which is believed to be the energy that flows through the human body. In theory, Chi runs along 14 pathways called meridains and when a patient is injured, stressed, or ill, their chi is supposedly being blocked. By placing needles in the Meridians the patients chi is thought to be put back into balance. Ginger Root is another root used for many remedies in Chinese and Hindu cultures. This root is believed to do many things such as: aide digestion, restore appetite, regulate menstruation, and even stimulate sexual desire. These are some of the long term effects the root was supposed to have. It was also said to cure colds, liver ailments, nausea, anemia, rheumatism, piles, jaundice, tetanus, and leprosy. This root is very useful in Chinese/Hindu culture. Ginseng is also commonly used in traditional Chinese medicine practices. According to Chinese religion, there needs to be a balance of Yin and Yang in oneself's spiritual being, and ginseng can help to achieve that. Asian ginseng is believed to promote positive Yang energy by strengthening the immune system and improving blood circulation, keeping the body strong in preventing disease and illness. American ginseng, on the other hand, promotes negative Yin energy, calms the body, and releases the excess Yang energy. This plant in general improves the skin and keeps it looking youthful. Ginseng also acts as a good remedy to curing sore throats. Tai Chi is a popular martial art that is very commonly practiced for exercise. Tai Chi is most popular in China, since it originated there and is deeply connected to Traditional Chinese Medicine theory. Many people can be seen early in the morning performing Tai Chi in unison in parks or special areas made for these kind of exercises. A variety of Tai Chi exercises exist today among the more popular being the Yang, Chen and Wu styles. The movements in Tai Chi allow for the circulation of chi (or energy) throughout the body combined with a calm concentration on the movements, which often produces effects similar to seated meditation. Tai Chi does not treat a specific disease or illness, but is helpful in increasing general health (especially as preventative medicine). Tai Chi is used for maintaining balance and overall wellness as well as coordination and muscle stamina. Tai Chi practitioners usually perform it daily, however a minimum of twice weekly is recommended by the majority of teachers. Tai Chi is be performed at a slow yet graceful pace that suits the individual. In Ethiopian culture,particularly in the southwestern region, the use of plants to cure injuries and illnesses is very common. An example of this is the Alysicarpus,which is used to help heal and seal cuts and lesions after it has been ground into a form of lotion and spread over the injury. Located in a tropical climate, the islands of the Philippines are rich with tropical vegetation. Many Filipino home remedies derive from the use of herbs as resources. Throughout the Philippines, in all of its many islands, the use and importance of local plants is evident. Because much of the Philippines is rainforest and there are still many areas which use the rainforest as a primary resource, there are several medicinal plants that can be found in the Philippines. One such plant is Alagau, which can only be found in the Philippines. Alagau serves as a means to treat several ailments, one in particular is the cough. Love is present across the globe. Although expressions and degrees of love or affection vary immensely from culture to culture it seems there is some form of what Western cultures know as love present in all societies where standard of living allows it. Love is not commonly thought of as a remedy but many forms of love not only ease pain or discomfort but also speed healing. Taking care of, giving plentiful affection (physical, verbal, emotional)to and support of the ill or injured can be crucial to their recovery. The Catholic Church teaches that through the Sacrament of Anointing the Sick the ill can not only have their body healed, but also their soul. This practice is performed through a liturgy and can only be conferred by a priest of the Catholic Church. The sacrament is believed to have five major effects: the uniting of the sick to the passion of Christ; to strengthen the sick so that they can endure their suffering; the forgiveness of sins; the restoration of health; and the preparation for passing over into the afterlife. Hawaiian medicine can be complicated, because the Hawaiians mixed different plants together to create medicines for different conditions. It can be even more difficult because the Hawaiians also didn’t use measuring cups to create the mixtures, but instead they used shells or other measuring devices that were available to them. One plant that the Hawaiians use is called the Olena plant, which is in the Ginger family. The bulb of the Olena plant is used to cure sinus and ear infections. Noni juice, or the Indian mulberry, is part of the coffee family. is used to heal people. The Noni fruit is taken and fermented and turned into juice. Once its juice, you can drink it and it heals you. Some even say that their cancer was cured when drinking it. The main use of the Noni juice is to cure gastric ulcers, diabetes and high blood pressure. 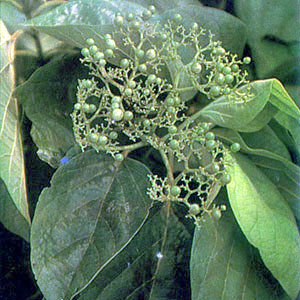 The Hawaiian Awa plant is part of the pepper family. The root of the Awa plant can be used to treat many minor illnesses. However, Awa should not be taken too often or in a high dosage, because side effects can include skin skaling and peeling and temporary muscle paralysis. Another healing technique is actually urinating on yourself if you get stung by a jellyfish. Urinating on the wound sterilizes it. Another plant Hawaiians use is the kalo, or taro leaves, which is known to be the single most important plant in Hawaiian culture. It is mainly used to cure asthma. On the other hand, many Hawaiians use the raw sections of the plant to treat pain and swelling from different insect bites, stop bleeding, and cure indigestion. Kava was once a sacred Polynesian ceremonial drink. It is believed to contain properties that enhance calming, soothing feelings. The people of Hawaii use it to treat headaches, muscle pains, and is also a way to prevent insomnia. There is no specific name to this remedy. The remedy includes two tomatillos (green tomatoes) pan fried until the skin turns charcoaled green. One then slices two pieces of tomatillos and sets them on a plate. You then lye in bed with warm blankets next to you with the tomatillos set on one side. You take a slice of them and rub the hot warm tomatillo on you neck lymph nodes (whichever ones are swollen). This rubbing movement will create the hot warm juice to decrease the size of your lymph nodes. One will let the juice of the tomatillos dry on one’s neck through the night. Make sure to tuck yourself under warm blankets to keep the juices warm for them to be absorbed in your skin. One can do this three times a week or until you see effect from this remedy. The illness that treats this would be swollen lymph nodes on one’s neck due to throat infections or infections that your body is fighting. A special consideration would be to rub the hot tomatillos on the neck for about five minutes wherever the swollen lymph nodes are located or do it every night if the lymph nodes are not getting smaller. This remedy is well known in Mexico because it is known to work most of the time but not always. So this is most common in the Mexican culture. This does not treat an infection; it just makes it go away faster because the lymph nodes are being decreased. The tomatillos would usually be used to make hot Mexican sauce. In the Mexican culture, bee stings are very common. In that part of the world, there are many species of bees, including killer bees, which we do not have many of in the US. Some have come up with the home remedy of placing sliced potatoes on the stings, in order to heal them faster. Another Hispanic home remedy related to food is gargling cayenne pepper to aid a sore throat. Since cayenne pepper is a local resource, making use of it is common and practical in Latin America. A Hispanic home remedy for curing a Sty is to use an Eye Cup which contains a mixture of warm water and sulphur. A sty is an infection or inflammation of the secretory glands of the eyelids. This common infection or inflammation results from blocked glands within the eyelid. When the gland is blocked, the oil produced by the gland occasionally gets backed up and forms a lump, which can be red and painful. The eye cup can be used to clean out the eye and wash out the glands. The idea is to use the cup 3-4 times daily with warm (NOT HOT) water mixed with a little bit of sulphur. Blink as many times as possible for about 45 seconds. Many Native American tribes in the United States use herbal remedies to cure aliments. One of the herbal remedies used is the use of blackberry roots and leaves to treat stomach aches. The use of natural treatments to cure every day ailments are cures that have been used for hundreds of years, and still remedies such as the blackberry syrup and tea are often used today. Throughout northern India, people believe that the tying on of strings provides protection from malevolent spirits and forces. Throughout India, they also use several herbs and plants to cure diseases. Many Middle Eastern cultures and Indian culture have used ginger tea as a way of killing or staving off colds. It helps to boost the immune system due to its spice, curries are reported to have the same germ killing properties because of this. In Korean culture Miso Soup has been a long time remedy for curing scrapes on skin. This ancient practice has been passed down for hundreds of years and is still commonly used today. The Mayan people are an indigenous group in Mexico and Central America. They are a very traditional society that has extensive contact with western and modern societies. Because of this their medical model is a blend of traditional beliefs along with western technology. because they live in pretty poor conditions they do not have access to the best medicines, but they use what they can along with traditional practices of herbs, magic, and spells passed on by the elders in the community. They are much more accepting of the mind and body as a single interacting unit, and work to cure mind body and spirit. Some cultures in the Middle East have remedies based on principle of balancing warm and cold food in the body. One such remedy is Aab Nabaat, which is used to prevent or settle an upset stomach.
" is used to purify and cleanse individuals by placing them in a tent-like room full of steam. It is mostly a religious event believing that the spirits expel diseases and purify the body. Herbs are not the only solution to expelling these diseases and purifying the body. Movement of the body is quite common for many Native American Cultures. Dancing and exercise are a common practice among tribes. Ceremonies were extremely important to the Laguna Pueblo culture and were often used for healing. It was thought that during these ceremonies the tribe could get closer to the sacred time of their gods and that this energy would aid with healing. In contrast to people in North American or European societies, indigenous people in South America often use traditional medicinal plants found in the rainforest to cure illnesses, instead of chemically produced medicines. Several plants found in South America can be used to obtain results more that are usually obtained from more common products. These include plants such as cinchona, yerba mate, and stevia. In the Andean region of South America, Coca Leafs are used as a remedy for overcoming altitude sickness, fatigue, as well as other illnesses. This practice has been used by many tribes indigenous to Peru and Bolivia, and is still a common practice today. In Turkish culture and many other cultures around the world, Leeches are used to relieve victims of snake bites and many other ailments. Leeches are known to be sold in animal markets in Istanbul. Thuoc Nam is also known as Vietnamese Southern Medicine. This medicine was also known as the poor mans medicine because it only uses ingredients native to Vietnam and involves little preparation. The use of home remedies and Folk medicine has greatly decreased in the last few decades with Western culture adopting the bio-medical model, causing western culture to become more dependent on prescription and OTC drugs. Although there are still Home Remedies that have been passed down through generations, Western culture has begun to prefer a chemical solution to many medical problems because of its availability and proven affects. In recent years, however, people have started to become aware of the negative affects of many chemical drugs and have been turning back to W:Homeopathic medicines and natural solutions as an alternative to modern pharmaceutical drugs. There are many different Western treatments for illnesses out there. A wart is a hard rough lump growing on the skin, caused by infection with certain viruses and occurring typically on the hands or feet. Many people in the Western culture cure warts in mainly two different ways. One is going to the doctor and getting them frozen off. The other is getting a prescription medication drug that will make the wart go away. The less known method of wart removal is the use of morning spit has been known to cure a wart in about a week. This has to do with the bacteria in the mouth that comes when people fall asleep. In today's Western Culture, many households are exposed to harmful airborne contaminants that can cause numerous health problems. Luckily, there are Air Purifiers to filter out those dangerous indoor pollutants. Ibuprofen is an over-the-counter pain reliever that is commonly used to reduce or eliminate body aches and pains, headaches, and reduce fever symptoms. It acts quickly to relieve pain, which fits well with Western Society's demand for rapid relief in a busy world. Airborne is a commonly sold immune system booster to help the body fight off colds. Commonly used among college students who never have a "good time" to be sick. It is mainly used in the prevention of colds but it can be taken during a cold with positive results. It fits well into western society as a quick fix or prevention method. Emergen-C is one of the latest and most popular health food supplement being sold today. This product comes in single serving sized packets and is easily mixed with hot or cold water. The mix of vitamins and minerals makes it a great solution for a quick boost of energy as well as an important way to fight off sicknesses, such as the common cold. Second Skin Spenco's Second Skin dressing is a product used to create a temporary layer of fake skin over a wound to the flesh that is exposing new and tender skin such as a blister or scraped knee. It can be purchased over the counter at pharmacies and other department stores. It is a quick and very simple way to relieve pain which is ideal in the Western Culture. Baby Powder Along with its most common use for babies it is also a useful method for relieving pain caused by blisters and other open sores. The powder eases the pain by adding a slight layer of protection over the wound but still letting it breathe. It is commonly used in Western societies because it is an everyday product for people with infants and also a cheap and easy way to relieve pain. The best over-counter lotion/crème to alleviate sunburn pains such as stinging is to use Noxzema moisturizer that is found in the stores. It feels terrific especially if you store the Noxzema in a drawer because the crème naturally maintains a cool level which feels incredible on a sun burned skin. Apply enough Noxzema to cover the sunburn completely; and apply a minimum of 2-3 times a day. The sunburn should most likely be gone within 2 days depending on the degree of the sunburn. NOTE: Some of the Noxzema moisturizer's come with Aloe-Vera; and use caution if your skin is sensitive to Aloe-Vera or use a different kind of Noxzema without Aloe-Vera. In the Western Society Green Tea can be used to prevent dark circles and wrinkles under ones eyes. Using two brewed, cooled off tea bags as compressors on each eye will reduce the risk of dark circles and wrinkles forming. In regards to the common cold, back in the early to mid 1900s, Garlic and Mustard Seed was worn around one's neck as a means of preventing colds. This stemmed from a German cultural belief and/or knowledge that garlic, along with some other herbs and spices, worked to prevent colds. However, instead of ingesting these items, they wore them around their necks, indicating an almost superstitious outlook on the matter. Now, it is known that those who include more garlic in their diets tend to be healthier and are less likely to contract common colds. Flaxseed Oil a long and extensive history. Originating in Mesopotamia, the flax plant has been known since the Stone Ages. One of the first records of the culinary use of flaxseeds is from times of ancient Greece. In both that civilization and in ancient Rome, the health benefits of flaxseeds were widely praised. After the fall of Rome, the cultivation and popularity of flaxseeds declined. Ironically, it was Charlemagne, the emperor who would be famous for shaping European history, who also helped to shape the history of flaxseeds, restoring them to their noble position in the food culture of Europe. Charlemagne was impressed with how useful flax was in terms of its culinary, medicinal, and fiber usefulness (flaxseed fibers can be woven into linen) that he passed laws requiring not only its cultivation but its consumption as well. After Charlemange, flaxseeds became widely appreciated throughout Europe. It was not until the early colonists arrived in North America that flax was first planted in the United States. In the 17th century, flax was first introduced and planted in Canada, the country that is currently the major producer of this extremely beneficial seed. It is in the American culture where we see concern on our appearance. We are obsessed with how we smell and how we look and a lot of this obsession comes from marketing. We can see this in the vast amounts of perfumes, colognes, anti-aging and makeup products shown on television commercials telling us what we want. If you want to reduce unwanted red eye you can use acold washcloth to help rid the symptoms. This is related to this culture by their high standard of person appearance. Western culture cares very much about the way that they look. Since a washcloth (flannel) and cold water are very common household products, it also is connected to the do it yourself aspect. Instead of buying eye drops, Western culture has established their own method of reducing this problem. Another problem some people have about their general appearance is oily hair, many women as well as men spend a lot of money to get their hair cut the perfect way or to get it dyed a certain color but when it becomes oily they tend to want to fix the problem on their own. For some it may be embarrassing to go to the salon and tell them you have oily hair so western culture has figured out its own way to fix the problem at home with using lemon juice. Many of western cultures home remedies are used solely for appearance purposes which says a lot about western culture. Within western cultures, a warm compress is the preferred home remedy for pink eye because it relieves pain while your eye naturally clears up on its own. For centuries Western Cultures have used Aloe Vera which can relieve skin discomforts such as severe burns caused by the sun. It can also be used as a natural laxative if used internally. The act of using wood ash to whiten teeth is not specific to Western culture – consequently appears in many other parts of the world such as Japan and parts of China. In Western Society, methods such as using Hydrogen Peroxide as a bleaching agent are very popular due to high image standards. It can used orally to whiten teeth, but beware of swallowing too much for it can be damaging to your health. Hydrogen Peroxide is a an inexpensive and is easily obtainable. Many other cultures don’t put as much emphasis on physical appearance, leaving the usage of chemicals for beauty enhancement for Western culture. Cannabis is widely used by and legally prescribed to patients with glaucoma in Western Culture. The THC chemical found in cannabis has been proven to lower the intraocular pressures associated with glaucoma and also prevents optic nerve damage. Cannabis is most effective when smoked and the general requirement for glaucoma patients is about .5 grams every 3 hours or so. The plant is illegal in the United States, however, and a prescription must be obtained for legal use. Caffeine has many uses in Western Culture. Most people use it to provide energy throughout the day. It does have alternate uses, though. When Caffeine is added to pain relieving medication, it helps the body absorb the drug faster. For more information, see Caffeine for migraines. Yogurt can be an effective tool in combatting canker sores. When using the right type of yogurt, you can speed up the recovery process and reduce pain. More information can be found under Yogurt for Canker Sores. The use of the Marigold flower is a common home remedy used by many Western cultures. The practical use of this household flower for the relief of tooth pain originated from early English countrymen. More information about the proper use of the Marigold can be found under Marigold. One disease prevention practice pertaining to women in western society is refraining from eating fish with high levels of mercury such as tuna while pregnant. This is because high levels of mercury can cause damage to the developing nervous system of a fetus. Methylmercury has become a particular problem in aquatic food chains because the fish begin to accumulate high levels of methylmercury in their tissues; especially the fish in higher trophic levels. One fish higher up on the food chain is albacore (or white) tuna. U.S. Food and Drug Administration (FDA) recommends that you eat no more than 6 ounces of tuna per week. In other words, do not eat more than 2 meals of low mercury fish per week. For more information visit Ethnomedicine/Disease Prevention Practices#Refraining from tuna while pregnant. ↑ Foster, S. “Licorice.” 2000. Steven Foster Group. May 25, 2007. http://www.stevenfoster.com/education/monograph/licorice.html. This page was last edited on 15 June 2017, at 00:45.